Wonderful poem my friend…god bless! Bring on the west wing and daffodils. Great poem, and picture. 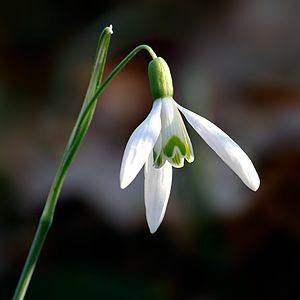 Just lovely, David – this poem matches the delicacy and fortitude of the snowdrop. Sorry for my absence – I am catching up on your posts, and also apologize for the LIKES without comments. I so enjoy your work and have cheated myself on missing so much of it! Hope you are well.